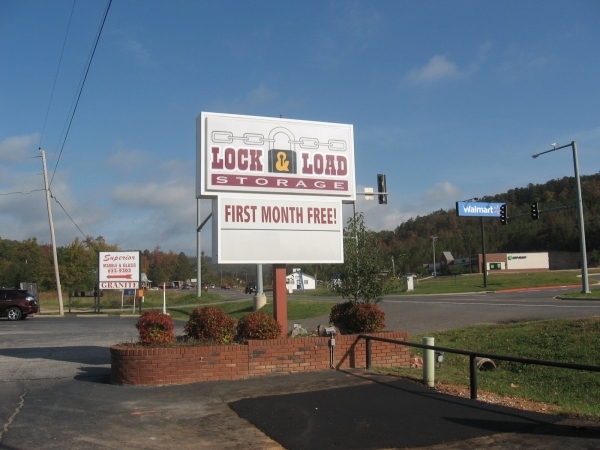 Lock & Load Storage is a well-secured self storage facility with 24 hour video surveillance. We are conveniently located on North Highway 7, only 20 minutes from downtown Hot Springs, just across the street from the Village Walmart. Situated only two minutes from the front grate of Hot Springs Village, we're easily accessibly from Lake Ouchita and Jessieville. We look forward to serving you! Rent for the first month must be paid to confirm a reservation. Would recommend to anyone who needs a storage. Good service and met my needs at the last minute. I needed a reasonable price to store a boat trailer. Customer service was excellent. Phone calls were returned promptly. We had no problem securing our storage unit and we can access it day or night. The storage units look okay from the outside but I haven't seen the inside and I don't know the prices of those units. I have a travel trailer parked there. When I went to rent a spot, the uncovered spot was really reasonably priced but the covered spots were at least 3X as much. I was pointed towards where there were "empty" spots and showed it on a map. When I drove back there, none of the spots were well marked or marked at all, and it seems all the trailers or RV's were parked haphazardly. I was told that every time they put up markers they got knocked down. Where there was evidence of a marker it was a pretty flimsy steak in the ground. I ended up choosing a spot where there was room for 4 or 5 trailers. The problem there was, once again, without the spots well marked the trailers that were there didn't leave much room. I ended up parking on the end which was bordering on being in the drive but it really was the only option. So, parking in an uncovered spot is a crap shoot. The covered spots look like they were pieced together with spare parts. They wouldn't keep vandals out. There's a door on them that can be locked but they don't close it in completely. People at front were nice. It certainly could be worse but it could also use some updating. The outdoor parking could be organized better by simply painting some strips to park inside of. Good service, pleasant worker, easy to get in and out. Some people don't know how to park and take their half out of the middle of two spots. Other than that, it's great. The lady at the front desk was friendly and helpful and she had the cutest little white poodle named Lacy. She let me pick the spot I wanted to park my travel trailer. Great place! Great price on a unit as I needed to get one quickly. Only drawback was having to go and find an open unit myself, as the books had not been properly updated. Good customer service. Easy access. Friendly and professional staff. Very clean, well lighted area. Secure facility. I had no problems with anything! Easy to find, no complaints. Pricing was comparable to other storage sites.